Looking for more ways to gain FREE KFR points? Use the code RKTREATFOODIEFAV to get 25 FREE KFR points! 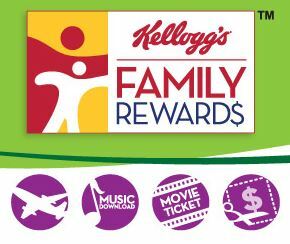 Kellogg’s Family Rewards give you great access to more coupons and other great deals such as prizes or treats. Kellogg’s codes generally come on the label or box of the product but it’s always nice to get extra points without spending any money. Here are several Kelloggs coupons to help you save more at the grocery store or your favorite drug store.